Based on a report by the University of North Carolina at Charlotte’s Department of Criminal Justice and Criminology, about 60% of convicted burglars stated the presence of a security system influenced their decision to target another home. Call ABC today at 301-249-9200 to get a free estimate for a system in your home or business! We provide yard signs and window stickers to alert potential intruders to your security system. 3. MOST BURGLARIES OCCUR BETWEEN 10 A.M. & 3 P.M. 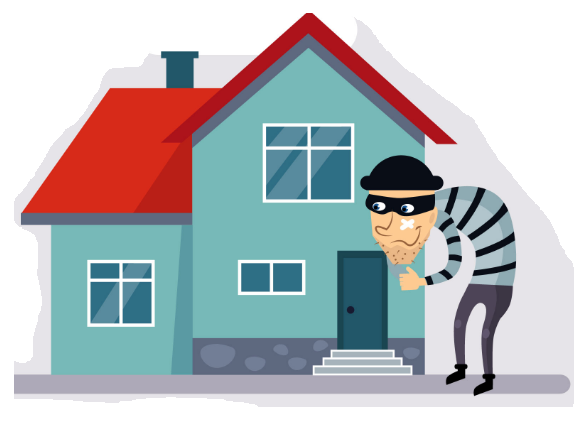 Contrary to popular belief, the majority of home burglaries take place during daylight hours. Most people are at work or school--burglars know this and expect to go more unnoticed. To deter them during the day, having indoor and outdoor motion-activated security cameras is crucial. You can also receive alerts if the camera detects motion so you can evaluate if it is necessary to take action. Most burglaries occur through a door. In fact, some burglars simply walk in through the front door. A good dead bolt lock is essential, for starters. The door frame, door and lock need to be able to withstand bending or being pried or kicked open. One of the leading causes of fires is from overloading your electrical circuits. You should always use a fire detection and/or smoke detection system in your home. A monitored fire detection system can protect your property at all times, whether or not you are home. Call ABC today at 301-249-9200 so that we can help you protect your family, home and/or business.